Tip a martini glass to the almond and celebrate this ancient snack with an almond flavored martini! The almond, a stone fruit related to the cherry, the plum, and the peach, was originally found in China and carried by traders down the ancient silk road to Greece, Turkey, and the Middle East. Almonds were among the earliest cultivated foods in the world. Franciscan monks planted almond trees in missions along the El Camino Real in California in the mid 1700s, possibly the beginnings of California being the largest almond producer (80%) in the world. Sugared almonds were favored as gifts by the ancient Romans and bonbonieres (sugared almonds wrapped in tulle) were given out at weddings in early European times because they symbolized children, happiness, romance, good health and fortune, a practice still common at nuptials today. 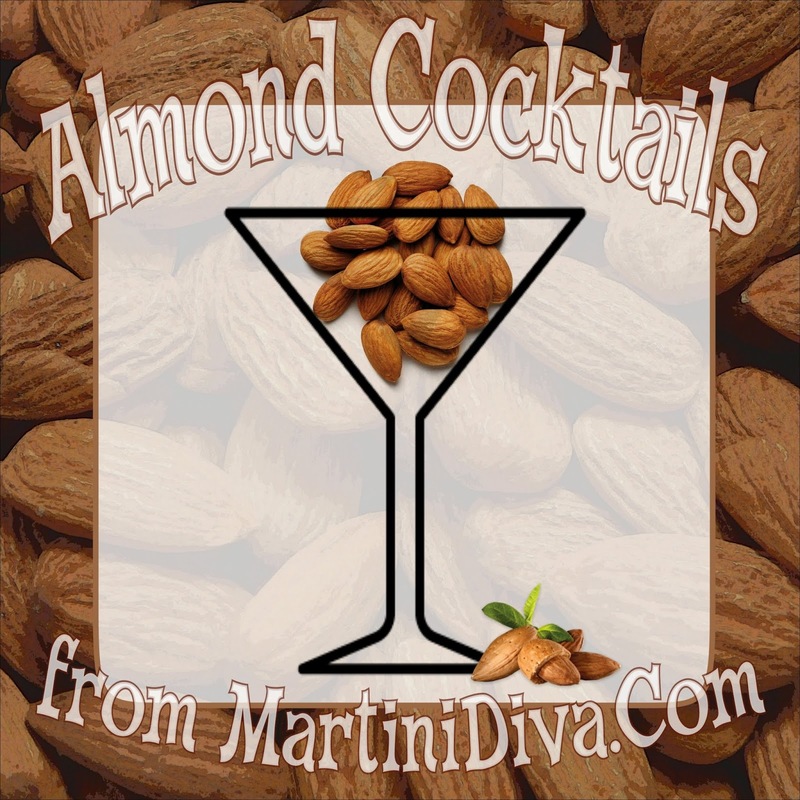 There are several liqueurs with almond flavors including several brands of Amaretto, DeKuyper's Creme de Almond and Cream de Noyaux, and Orgeat syrup is an almond flavored syrup used in many Tiki drinks. According to superstition: If you eat almonds before taking a drink, you will reduce your chances of getting drunk and avoid having a hangover. Doubtful, but what would it hurt? National Almond Day is February 16th, Go a little nuts!